Today I’m sharing this Vintage Flying Bat Illustration! 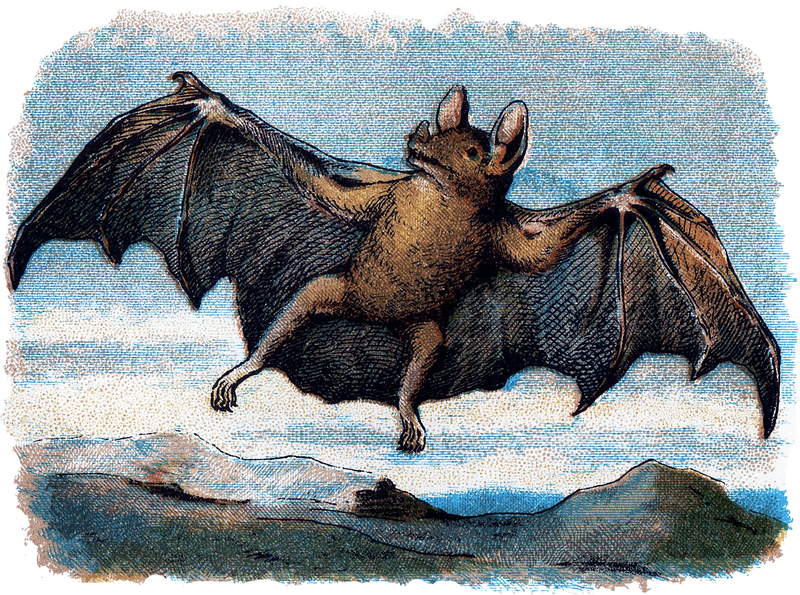 In this lithograph, a bat soars over mountaintops with arms and wings spread wide. You can see the detail of the under wing with brown, black, and blue coloring. So nice to use in your Spooky Craft Projects! « Vintage Dancing at a Ball Image! U rock with all these wonderful bat graphics! Guess who will have multiple awesome t’s for Halloween next year?